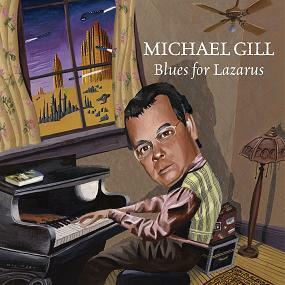 This is the debut solo record by San Francisco area musician and composer Michael Gill. He is joined by three different drummers including Dave Weckl. Three different vocalists give their unique flavour to the tracks and these include Rick Ellis, Callie Thomas and Dave Cowden. Michael plays only keyboards. Dave Koz and Gary Meek play some nice melodic sax on several of the tracks. Rob Fordyce is the sole bass player! The tracks are all original compositions except for a cover of Peter Gabriel’s song Here comes the Flood. Merlin’s Journey starts off with some bluesy stuff and then develops into a mid 80’s Marillion like track. I quite like the title track and the blues vocals of Rick and the great sax playing and Michael counters with some nice piano. Arrakis is an 8 minute instrumental track inspired by author Frank Herbert. There are a lot of great solo parts on this track by all. Here comes the Flood features Callie on vocals. Great version. Memory of a Dream is a beautiful ballad also sung by Callie and ends with a piano solo. Colorado is a more uptempo track and features some 12 string guitar and great lyrics. Stay the Night is another ballad and my least favourite track. The CD ends with Rain, more of a rock number. Enjoy…The CD comes with an excellent booklet with a lot of nice photos, all the lyrics and a great cover artwork!